Building on a strong showing at CinemaCon and a series of new global cinema deployments, Cinionic now celebrates a new partnership with system integrator Cine Project and the first laser-illuminated theater in Germany! The alliance opens up significant opportunities for Cinionic, the Barco Cinema joint venture, to grow its digital cinema footprint in Germany. Offering a vast array of entertainment experiences – from the cinema lobby to auditoriums and beyond – Cinionic will empower the country’s movie exhibitors to deliver amazing “wow” experiences for a new generation. As one of the country’s leading digital cinema system integrators for state-of-the-art projection systems, sound and stage technology, Cine Project is eager to roll out high-quality Barco projectors offered by Cinionic. “We are honored to bring the brilliance of Barco laser projection to immerse moviegoers in the ultimate cinema experience. Forward-thinking exhibitors who embrace these technologies can enjoy all the benefits of premium cinema, from higher ticket revenues to happy customers,” comments Franz Kober, founder of Cine Project Kinodesign & AV-Technik GmbH. Premium Entertainment München GmbH, CEO Hans-Joachim Flebbe, is the first to open an all-laser cinema in Germany, known as ARRI Astor Cinema Lounge, featuring both Barco Flagship and Smart Laser projectors. The cinema will rely on the Barco 6P RGB Laser to show flawless 3D movies. Well-known for its premium cinema lounges all over Germany, Premium Entertainment is also renovating and building new complexes in Munich, Hamburg and Frankfurt. Cinionic offers the largest portfolio of Barco laser projectors (18 total) in the industry, ensuring the perfect match for every screen. “We are excited to partner with Cine Project and look forward to teaming up with them to help delight moviegoers with unique and powerful entertainment experiences,” comments Serge Plasch, Chief Commercial Officer at Cinionic. In addition to providing cinema projectors for Cine Project customers, Cinionic will partner with Cine Project at numerous exhibitions, with the first occurring at KINO Baden-Baden, May 15-17. 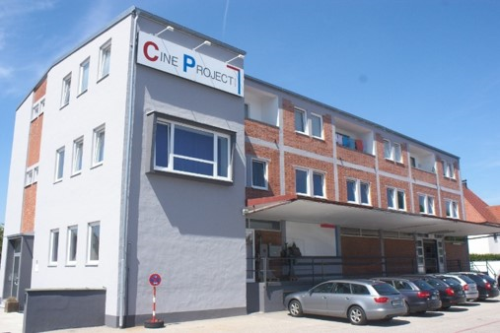 Founded in 1995, Cine Project is one of the leading providers of installation of cinema equipment in Germany. The company offers complete solutions for conception, renovation and digitalization of cinema halls. Cine Project operates a network of branches, subsidiaries and partners in several European countries and has more than 3,300 screens under service and connected to NOC.